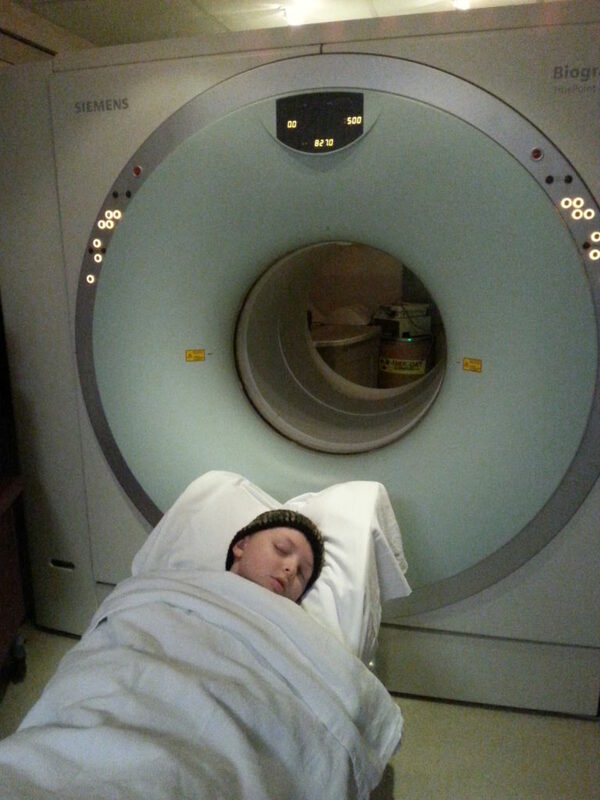 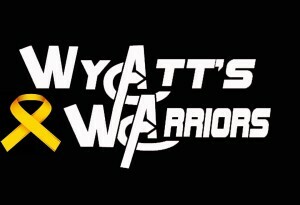 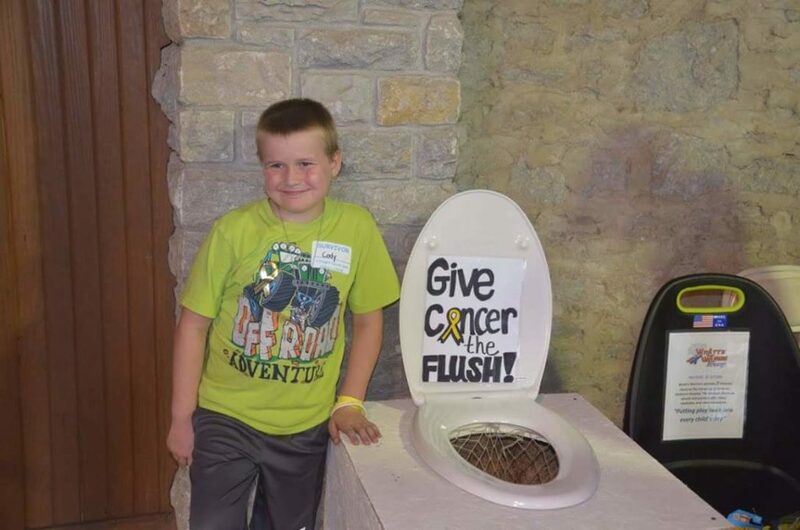 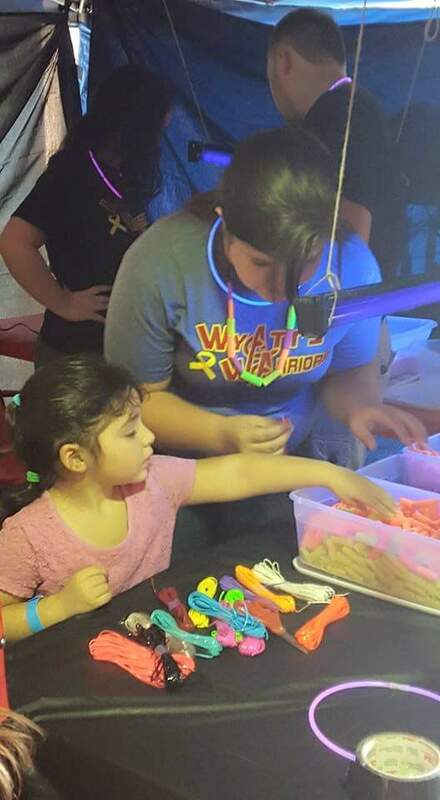 Our son, Wyatt was diagnosed with Burkitt’s Non-Hodgkin’s Lymphoma in 2014. 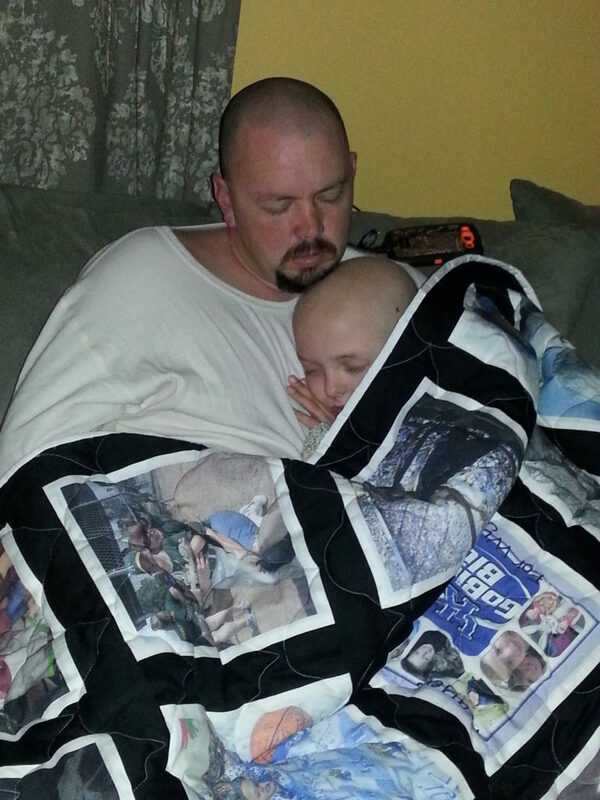 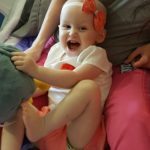 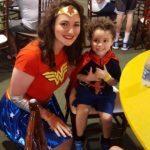 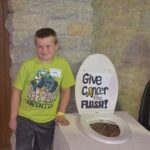 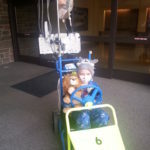 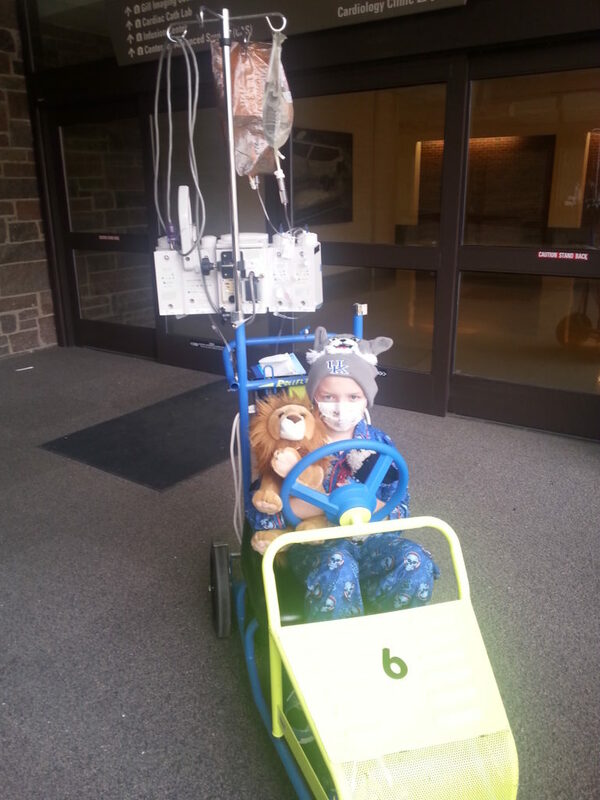 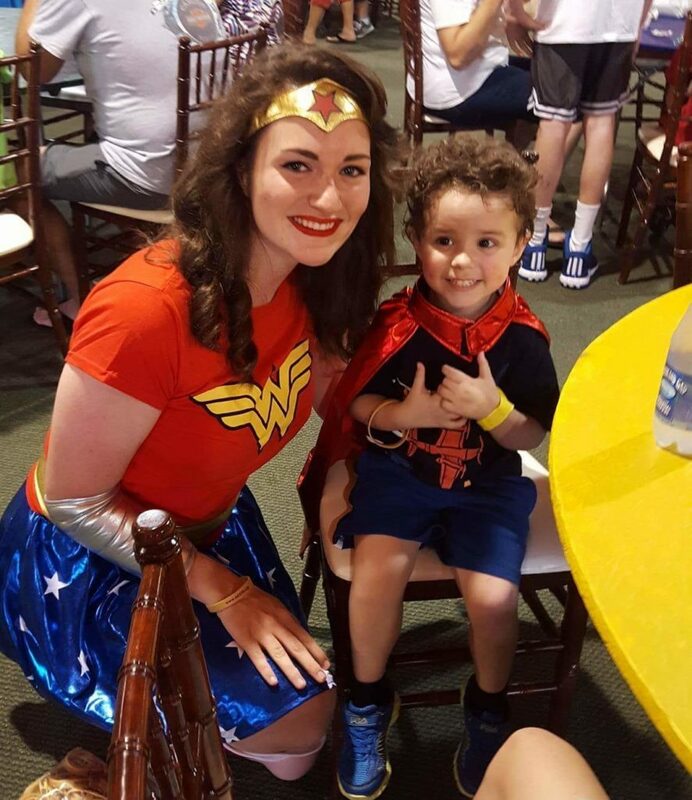 He endured grueling inpatient chemotherapy and extended stays in the pediatric intensive care unit. 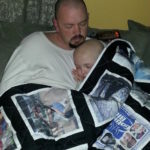 His care included over 119 days in the hospital, and some terrifying procedures. 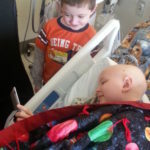 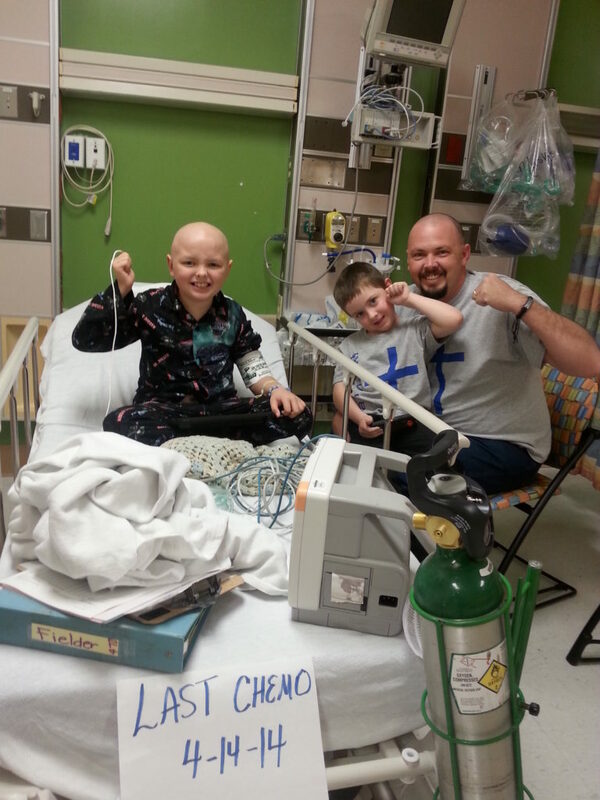 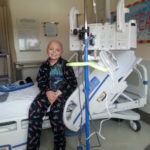 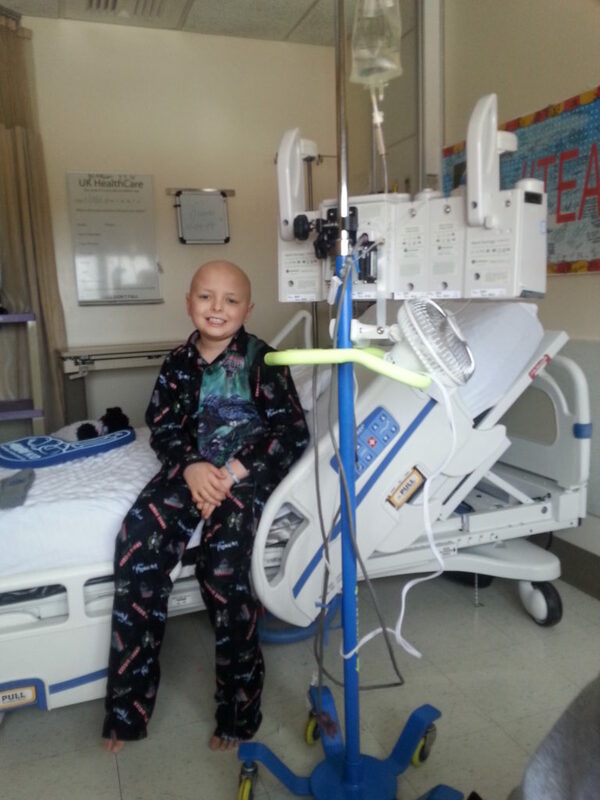 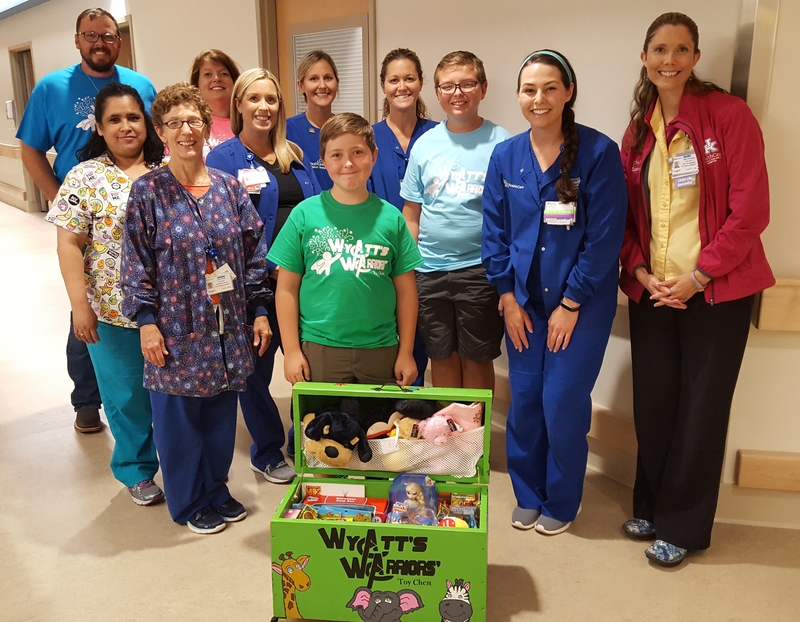 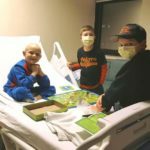 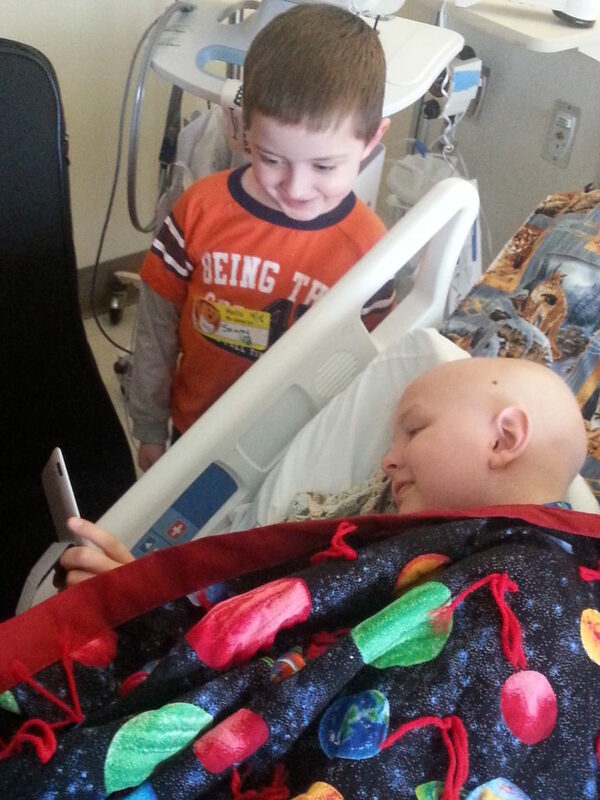 Months after his last chemo and a visit to his family physician Wyatt remarked to his grandfather how he wished there was a treasure chest for 4 West (ped oncology unit). 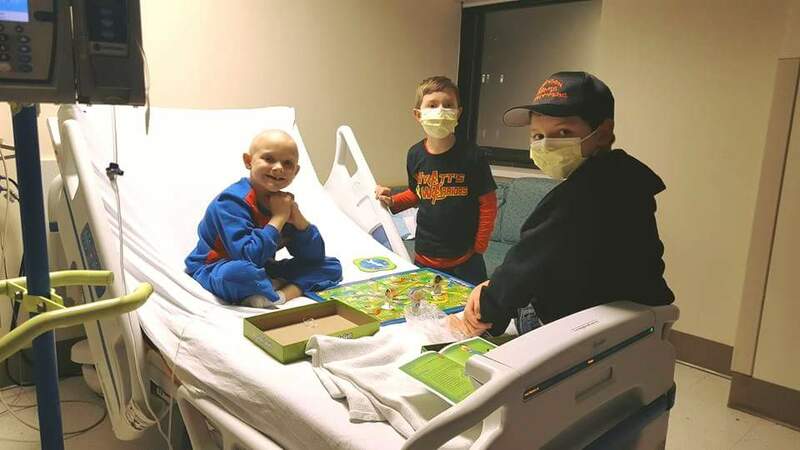 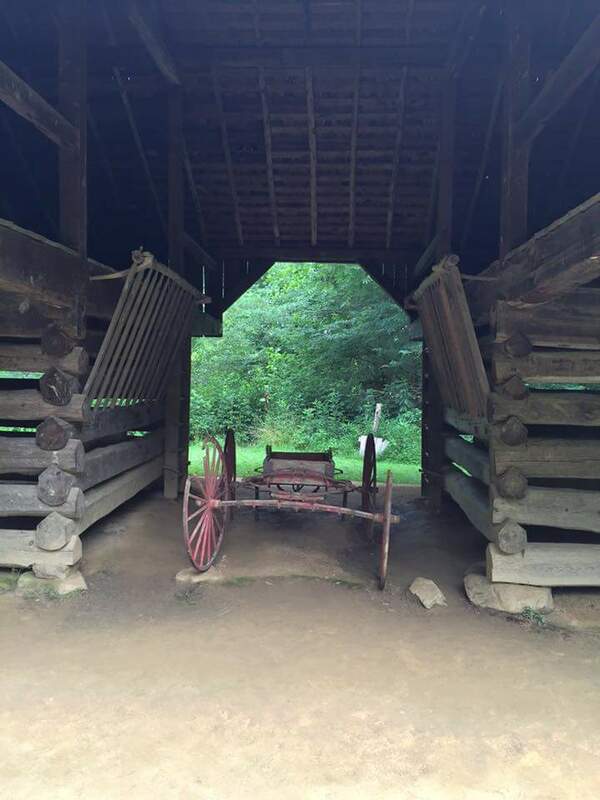 If the regular doctor’s office had one, it was a shame that the hospital didn’t have one, because the tests and medicines were much worse in the hospital. 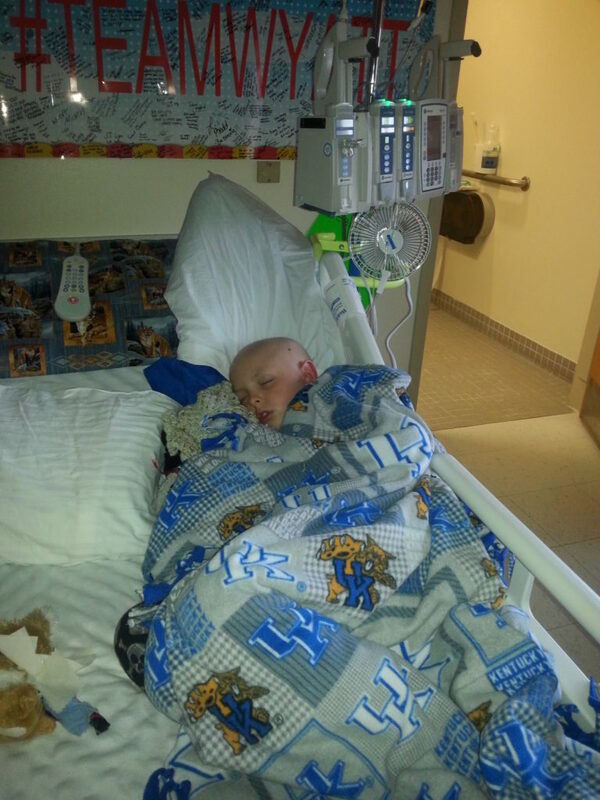 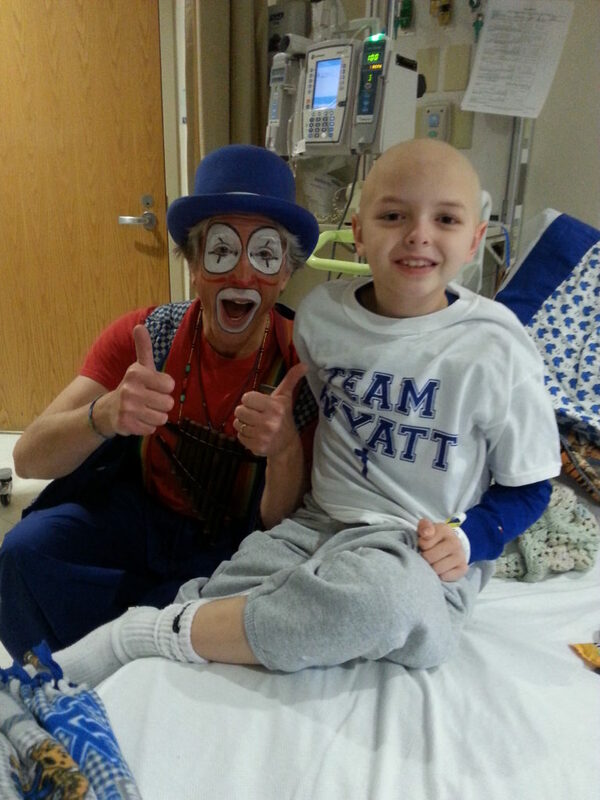 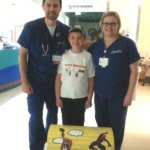 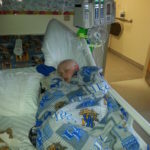 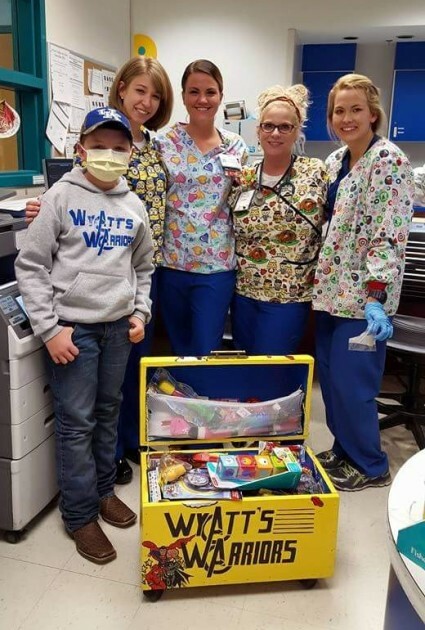 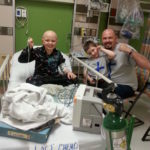 Wyatt and his grandfather designed and built a treasure chest, and dedicated it to the University of Kentucky Children’s Hospital in December 2014. 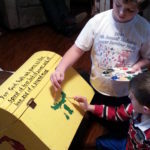 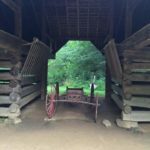 Since 2014, Wyatt and his grandfather have added 2 additional treasure chests. 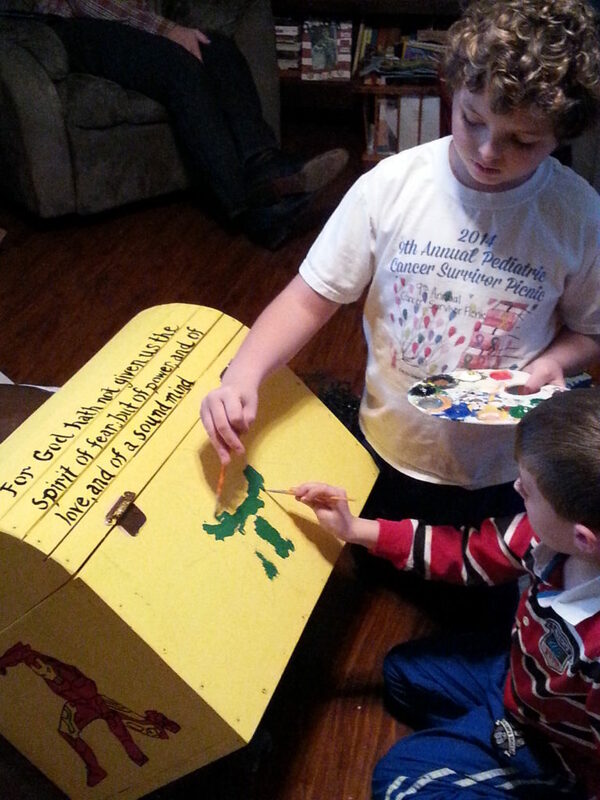 Each chest is cheerfully painted with child-inspired art and equipped with wheels. 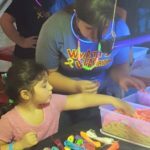 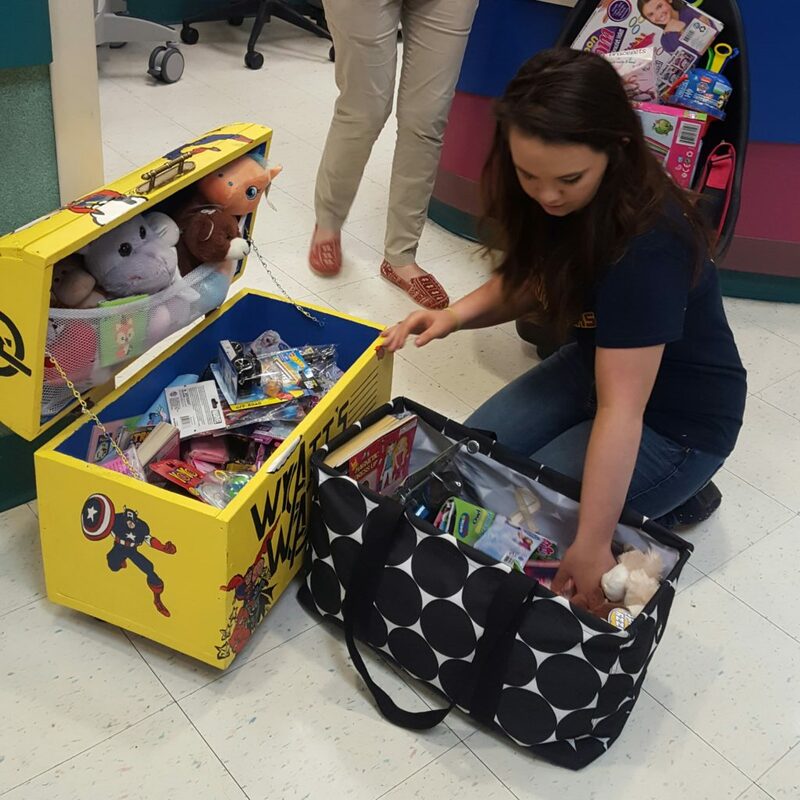 Our treasure chest(s) on wheels are filled with various toys and other treasures monthly, or on an as-needed basis. 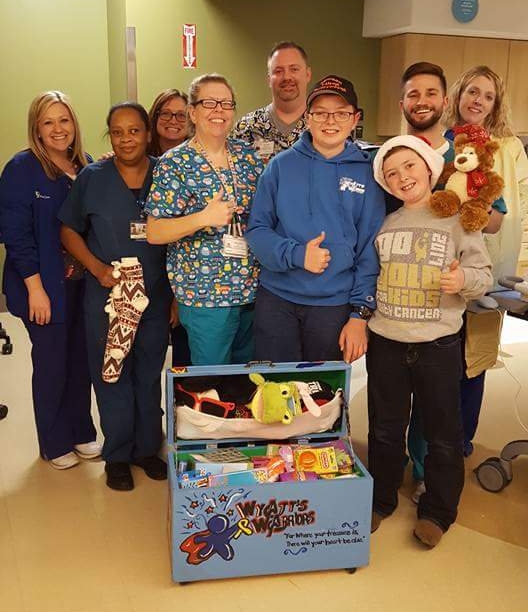 Chests are conveniently located at the nurse’s station at the University of Kentucky Children’s Hospital and operated by the pediatric nurses. 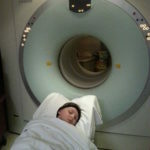 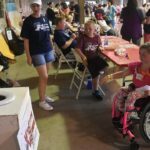 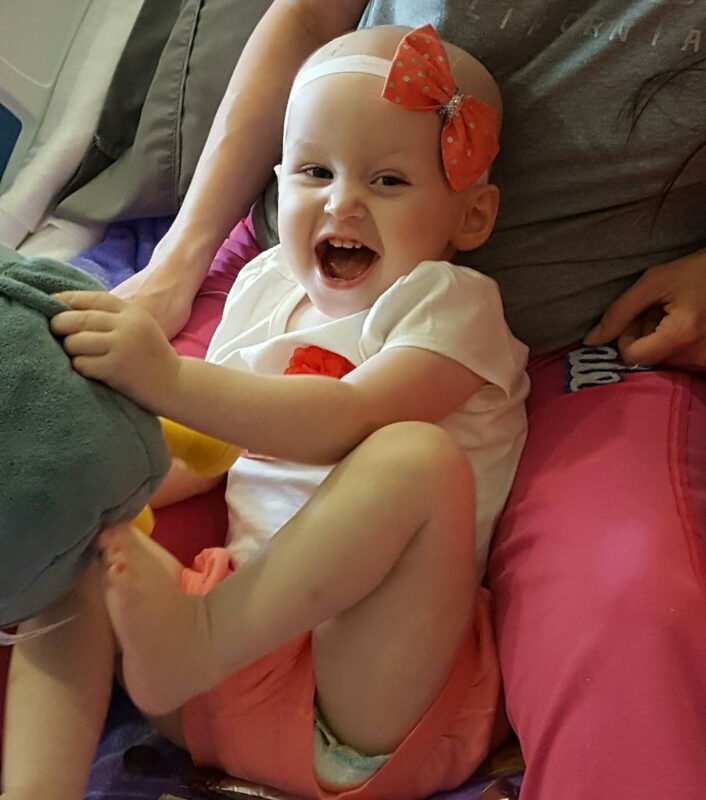 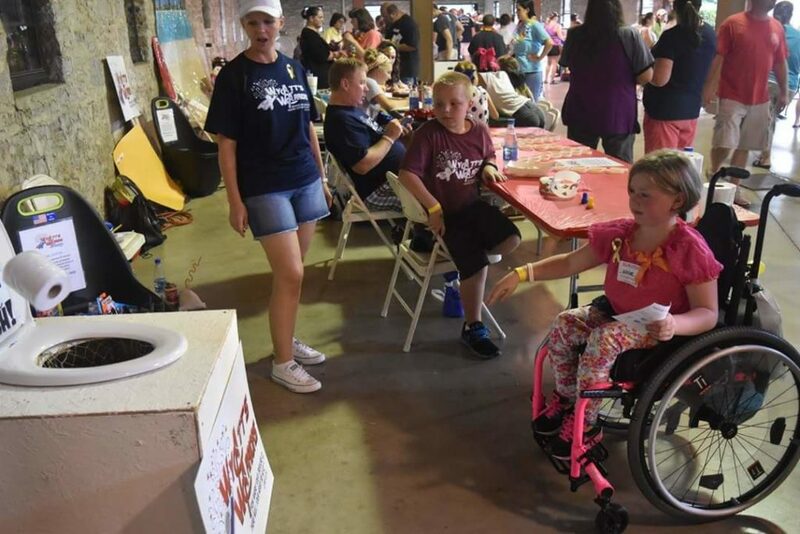 The chests are available for pediatric patients 24 hours a day. 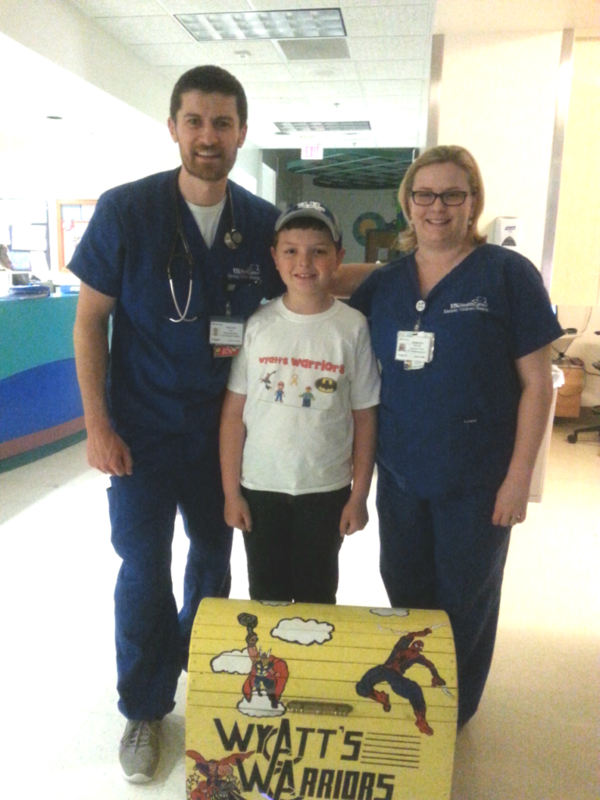 Each chest has the ability to visit brave patients after medicines, procedures or just when they need to be cheered up.